Welcoming Smiths Hotel's Newest Wedding Planners! If you've popped into our wonderful wedding bureau lately, you may have spotted two new faces amongst the team! 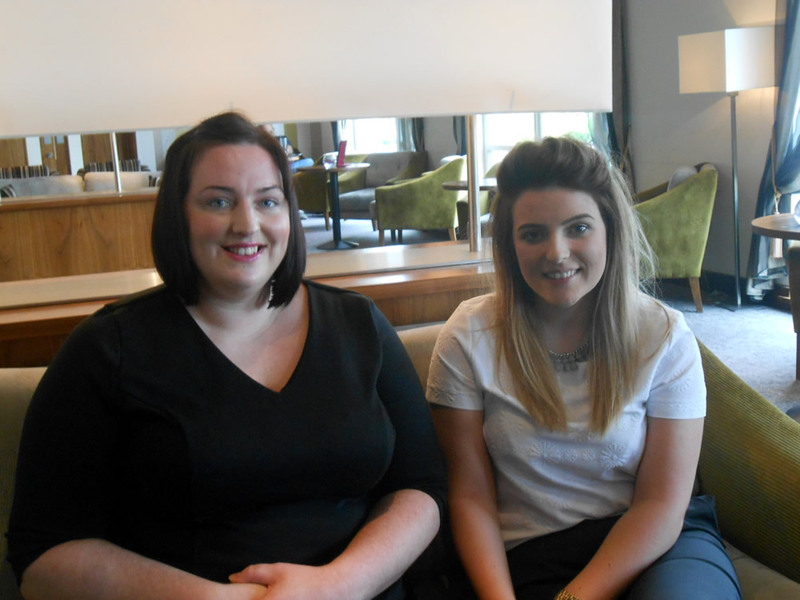 Meet Lianne and Teri....who recently joined the team this past August - Lianne from Smiths' reception team and Teri from Hetland Hall where she had been the wedding coordinator. What brought Lianne and Teri to the wedding team? Lianne was interested in working more closely with the brides and grooms who come to Gretna Green, finding it rewarding to be able to be part of such a special day. Teri was interested by the opportunity to be part of a larger team - working with bridal couples and helping to plan weddings in a new atmosphere. What's a typical day for Lianne and Teri? Cue the giggles...."there isn't one. Everyday has a new adventure." From completing confirmation forms and function sheets to show rounds and helping take care of the couple on the Big Day, there's always something new to look forward to! Having started on the same day, Lianne and Teri have been able to help each other through the learning curves.....we were curious what was their favourite bit of their new role? Lianne loves meeting the couples she works with....while Teri thrives on putting packages together and planning the wedding for each and every couple. Both of our newest wedding planners were married this past summer themselves....do they have any advice for our future brides and grooms? "Allow yourself enough time to rush and everything will work out. On the day, don't fret - remember to give yourself time to enjoy it!" Welcome to the team Lianne and Teri!